Mitt Romney recently released his tax returns for 2010 and 2011, showing that he and his wife, Ann, have contributed $4.1 million to The Church of Jesus Christ of Latter-Day Saints (sometimes inadvertently called “The Mormon Church” by the media) over the past two years. 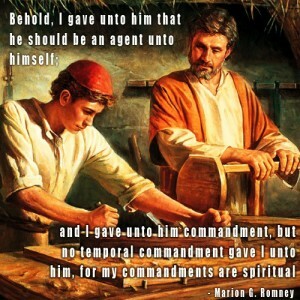 Romney, who is a faithful Mormon, follows the practice of paying one-tenth of his income annually in “tithing” to the Church. The practice of paying tithing dates back to some of the earliest recorded times. Tithing, which means “tenth,” was practiced by Abraham (see Genesis 14:18-20), and codified into the religious laws of ancient Israel. The most famous Old Testament reference to tithing is found in Malachi 3:8-10, where the prophet chastises the people of his day for “robbing God” by neglecting their tithes and offerings. In the New Testament, tithing is mentioned in Matthew 23:23. There, the Savior chides the Pharisees for paying tithes while omitting the “weightier matters of the law,” explaining that they should do both. The payment of tithes has been practiced by Christians throughout history, and is still a common practice. 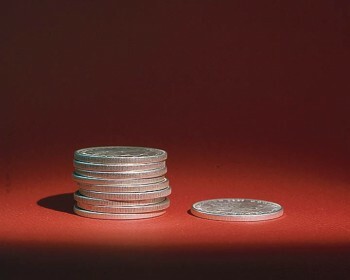 Tithing provides for the basic expenses of running the Church, and allows for equal access to spiritual things by all members, regardless of income. The payment of tithing acknowledges that all we have belongs to God, and that we value Him above our material possessions. By returning to Him some of the goods He has entrusted to us, we show that we trust Him to continue to provide for us. Faithful Mormons believe they should pay tithing regularly, as a voluntary contribution to assist with the expenses of the Church. Mitt Romney’s tithes are an expression of his faith in God and his gratitude for God’s daily care. Tithing has traditionally been used to pay the expenses of the Church. 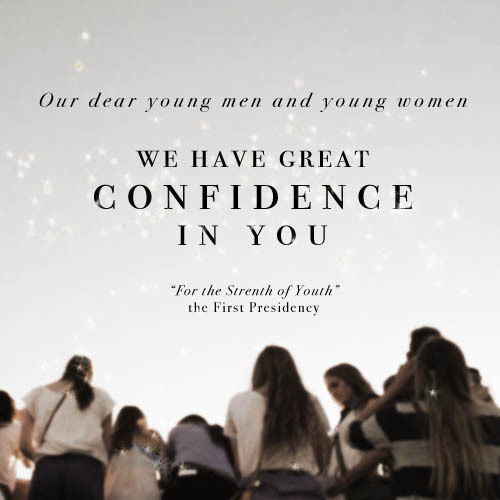 Leaders of The Church of Jesus Christ of Latter-Day Saints (Mormons), from the local level all the way through to the First Presidency, are all volunteers; thus, tithing money is not used to pay their salaries or living expenses. Instead, tithing is mainly used for the budgets of local congregations, to build meetinghouses and temples, to pay administrative costs, and to finance the Church’s missionary, educational, and humanitarian ventures. Mitt Romney’s tithing could have been used to help build a temple in South America or to provide a lesson manual to a Sunday School teacher in Africa. 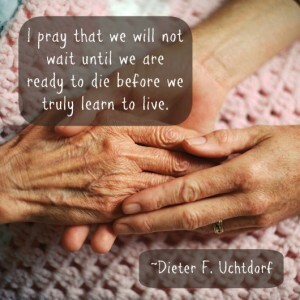 Because tithing is sent to Church headquarters and used throughout the world, Mormons everywhere have access to church temples, meetinghouses, and materials, regardless of their financial status or where they live. Tithing is not the only contribution to The Church of Jesus Christ that appears on Mitt Romney’s tax returns. Mormons make other regular offerings to the Church, mostly to help meet the needs of the poor. One of the most important offerings is called a “fast offering.” Fasting is another ancient practice, dating from Old Testament times, that serves the dual purpose of humbling oneself before God and caring for the poor. Once a month, Mormons skip two meals and donate the amount they would have spent on food to the local fast offering fund. Administered by local leaders, money from fast offerings is used to help members of the local congregation with basic needs. Surplus funds are sent to regional leaders, where they eventually make their way to the Bishop’s Storehouse, a type of food bank where food, clothing, and household items are available for those who are struggling to provide for themselves. Other contributions made by Mormons go to support missionary work, worldwide humanitarian aid, educational opportunities for the poor, and temple construction. Each contribution is collected and distributed largely by volunteers, so very little money goes for overhead. Instead, almost all money contributed goes directly to the program it is meant to support. Any money sent by Mitt Romney to the Church’s Humanitarian Fund, for example, went directly to supplies for victims of disasters and other pressing humanitarian needs throughout the world. Money sent as charitable contributions to the Church of Jesus Christ of Latter-Day Saints is money well spent. Mitt Romney’s taxes reflect his commitment to help the poor, relieve suffering, and spread the gospel of Jesus Christ throughout the world. i have been going to the LDS church for over a year and have been paying tithings.Sometimes i get a strong feeling that this christian organisation gets too much money and very little of it goes to really help the poor and needy..It is so obviously a very wealthy form of christianity. It must get millions of dollars each week/month.Does the church ever say where the money really goes.????? Mike ~ Be careful to study the correct modern doctrine about tithing, which comes from D&C 119. Tithing is to be paid based on your surplus, not on your paycheck ~ see verses 1, 4, and 5. Verse 4’s “interest”, does not mean “income”, if you look it up in ANY dictionary. In older dictionaries, or at: WebstersDictionary1828.com, you’ll find that “interest” in the context of these scriptures, and in the definition of the word itself means “profit, or surplus”. Paying 10% of your income as tithing is only correct to pay when and if “income” means “profit”, which is one of it’s definitions. Not “gross”, not “net”, not “adjusted” – “net-net” after all of your just and reasonable bills and expenses for your self and your family are met. (The talk in the video is just flat-out wrong.) Then, from what you have left over, your surplus, you tithe 10% of that, and make other charitable donations, savings, capital expenses, as you see fit from your remaining surplus. Ancient Mosaic Israelites paid tithes on their “increase”, not on their “income”. They are “cousin” words; but an ear of corn with 300 kernels, and a germination rate of only 1 in 3, yielding a stalk with an average of 3 ears, means that 1 ear of corn yielded 300 new ones. “God gives the increase”, all you have to do is plant and harvest. Livestock like sheep, goats, cattle are fecund, a herd of 100 will usually yield about 30 that live a year to be tithed, even after feeding your family. “God gives the increase”, all you have to do is keep them from wandering into the wolves from the pasture. And, No, the Church stopped publishing it’s income and expenditures in… 1958. Nobody outside the top knows how much comes in ($6 Billion to $8 Billion a year estimated) or how much goes out or where ($3 to $5 Billion on the City Creek Mall alone…) We are all in the dark, blind. But, when you pay your tithing the Lord’s way, it takes out the regret. the General Handbook of Instructions, 1989, p. 9-1; see also Doctrine & Covenants 119).